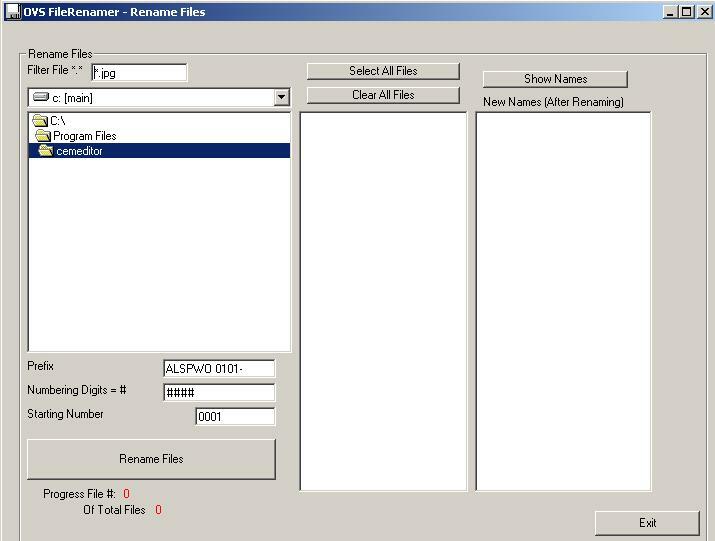 The ObitEditor includes a utility for renaming batches of files. From the ObitEditor 1st Steps Tab click on the "Rename Pictures" Button. Select the Drive and Folders containing the files to rename. (Optional) Click on "Show Names" to see what the renamed files will look like. We suggest naming files in sequential order so that the ObitEditor Previous and next features work easily for you.